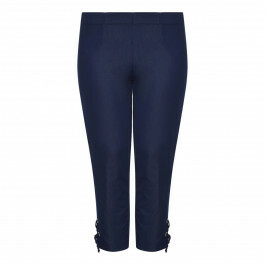 A technostretch trouser is a capsule wardrobe essential. Ultra-comfortable and super-stretchy, they're designed to move with you. In a bold shade of red with a cute tie detail on the hem, these 7/8 trousers by Verpass are endlessly versatile. 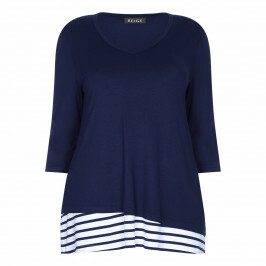 Team them with a navy tunic to create a timeless nautical look that's perfect for travel. Red pull on technostretch 7/8 length trousers with ankle tie detail. 68% cotton, 28% polyamid, 4% elasthane. Wash at or below 30°C. Do not tumble dry. Do not dry clean.